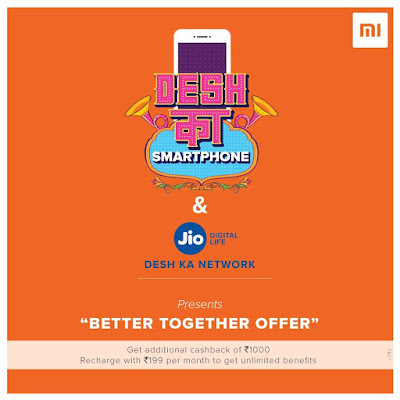 Xiaomi launched Redmi 5A smartphone in India and also partnered with Reliance Jio to give Redmi 5A users a cashback worth Rs. 1,000. Under the new offer, Redmi 5A users need to continue to recharge their accounts with the Rs. 199 pack for 12 months to get the cashback. The pack includes 28GB of 4G data with a 1GB daily limit, unlimited local and STD voice calls, and unlimited SMS with 28 days of validity. the first recharge should be done between December 5, 2017, and November 30, 2018. The cashback will be credited to the subscribers' account in the form of 10 vouchers of Rs. 100 denomination at the end of 12 months period. It is also worth noting here that only one cashback voucher can be redeemed at a time and against the recharge of Rs. 309 or above packs or against Rs. 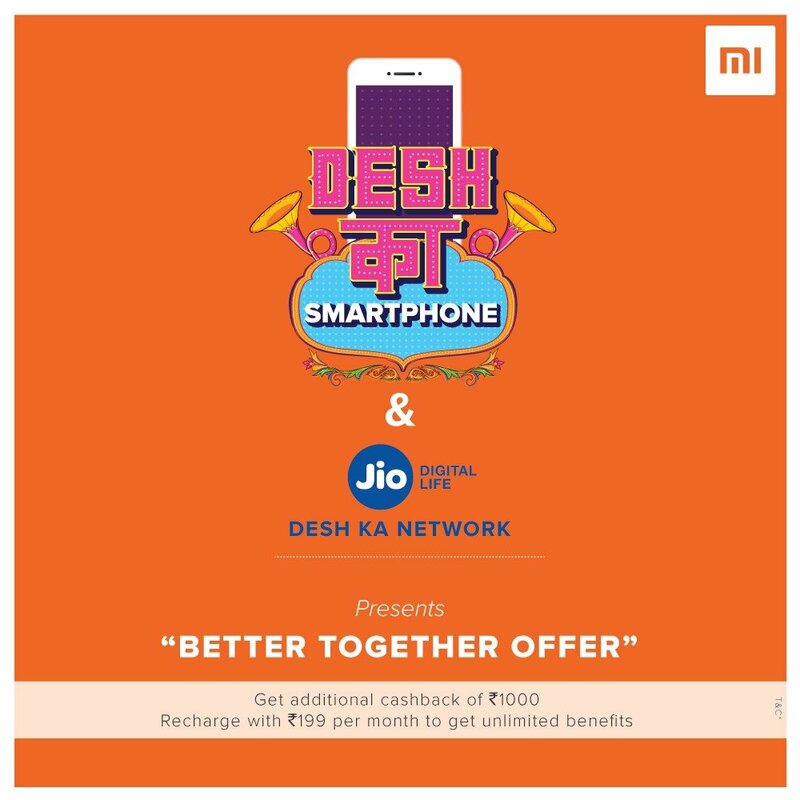 201 or above data add-ons via MyJio app before November 30, 2019. Rs. 199 pack will be available for Reliance Jio subscribers for the first 12 months after purchasing the Redmi 5A. Actually, u won't be paying Rs 3999 for this phone.